1066, the 27th of September. The Sergeant Surgeons were originally military surgeons, it was their duty to attend the monarch on the battle field. 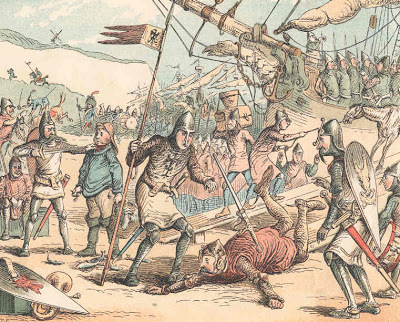 At the Battle of Dettingen in Germany in 1743 one John Ranby was the last man to perform this duty when he accompanied King George II into battle. The first person to be appointed to this position was William Hobbes in 1461. 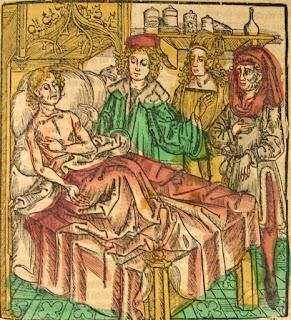 It is today, the 27th September in 1488, that marks the death of William Hobbes, physician to both Edward IV and Richard III. Hobbes proved to be one of the few trusted servants of the House of York. 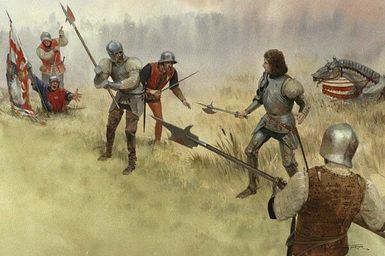 Today, the 25th of September is the anniversary of a fierce battle that was to play an important part in shaping our country, not Hastings, which was less than a month later, but the Battle of Stamford Bridge in the County of Yorkshire. Five days before the battle, Harald Hardrada, King of Norway and his English ally Tostig Godwinson, who was angry because he had not been given the Earldom of Northumbria the previous year, sailed up the Ouse with over ten thousand men. 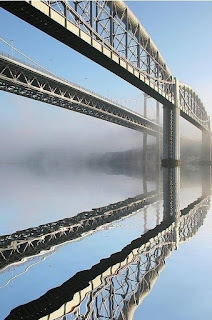 For the story of an axe wielding Norsemen and an English hero in a boat please click on the link. Melusine is a female spirit of fresh water, sacred springs and rivers. Her children are said to include the King of Cyprus, the King of Armenia, the King of Bohemia, King of Lusignan and the Duke of Luxembourg. 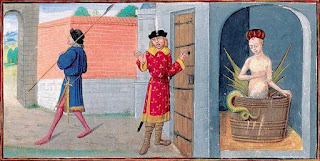 It is the later, that Jacquetta, mother of King Edward IV's queen, Elizabeth Woodville, is said to be descended, it is also said that Jacquetta inherited her 'magic' abilities from Melusine and was a practicing witch. Supposedly seen casting spells she is accursed of witch craft in 1469 but cleared the following year. The Autumn Equinox, or the first day of autumn occurs today. This is when the north and south poles of the earth are not tilted towards or away from the sun, as at other times, but are aligned so as to give, the same amount of daylight in both of the earth's hemispheres. The term equinox, derived from Latin, meaning equal night. 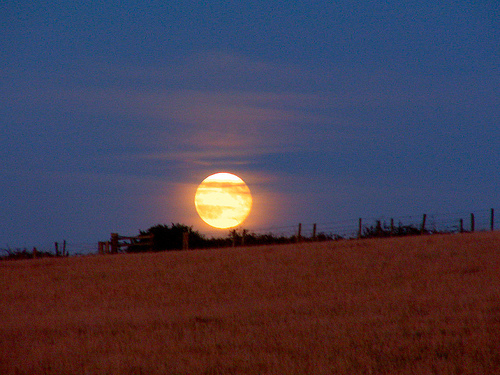 The full moon that appears in our sky nearest to the Autumn Equinox is called the Harvest Moon and this is when farmers would harvest their crops. 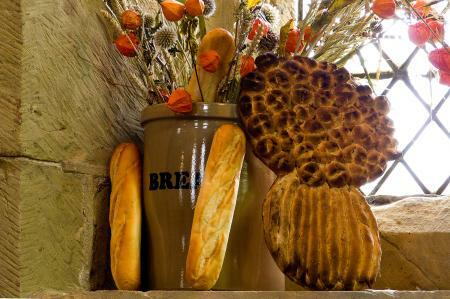 My only real recollection of this time is from my infant school days and the celebration of the Harvest Festival, where we all had to bring some form of food from home, a celebration of the food grown on the land. I can always remember, as I grew up, being disappointed that the vast majority of the food was tinned, and the school hall wasn't filled with baskets of apples, pumpkins or a couple of marrows, all nicely laid out on small bales of hay. My children were encouraged to bring tinned or packet food to all their Harvest Festival celebrations, and now, quite rightly, nothing goes to waste and the food that has been put on display is usually made into parcels and given to people in need. The Great Tower Ashby de la Zouch Castle, Leicestershire. On Sunday we took a trip to the one time home of William, Lord Hastings, who was executed on the order of Richard III a short time after a confrontation at the famous council meeting of June 1483. 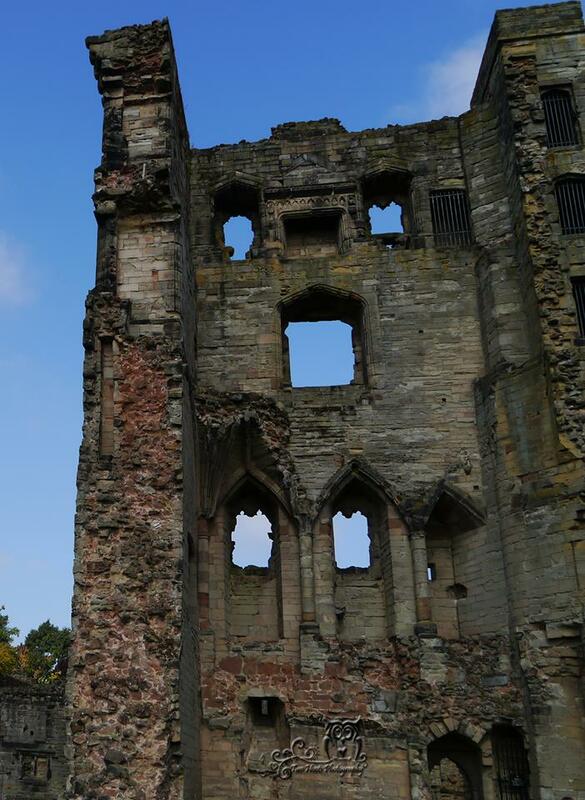 From the ruins of the tower it is easy to see the four different areas making up the living accommodation. At the top, there are the remains of a wonderfully ornate fireplace, the centre piece of the Great Chamber. No doubt, when winter guests arrived it would be filled with wood, cracking and sparking. I wonder if Hasting was positioned in front of this fire when he plotted (allegedly) against the king. The second level, with its large arched window, is the parlour. 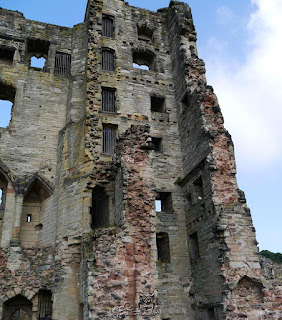 William Hastings, in 1474, was licensed by Edward IV to fortify two sites in Midlands, this castle he created from an existing manor house, the second, at Kirkby Muxloe he never finished. It was built out of red brick, and much like Tattershall Castle, in Lincolnshire in style. Battle of Bosworth Sand Sculpture. 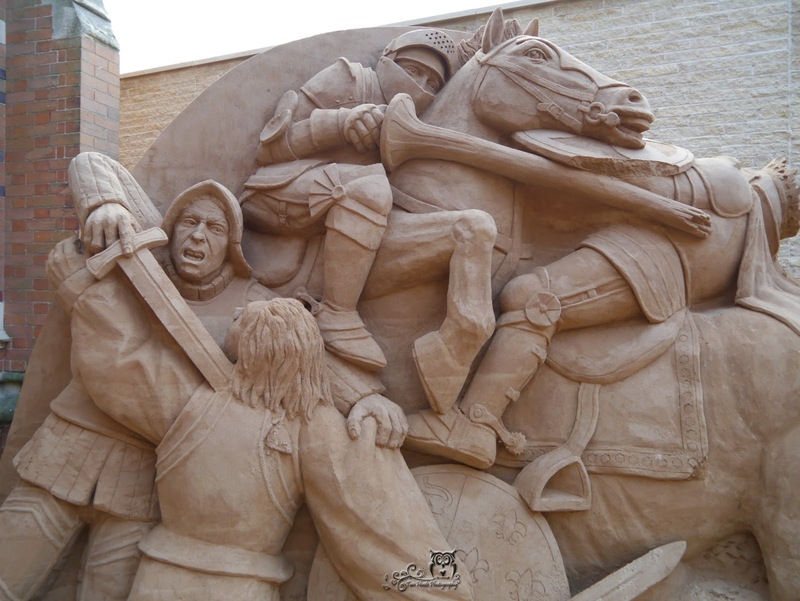 The medieval soldier would have been much practiced at hand to hand combat, he would have known where exactly to place his sword, as seen in the sculpture, for maximum effect. 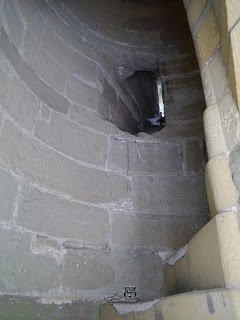 These vulnerable areas were the groin, armpit and the throat, a place uncovered for flexibility. 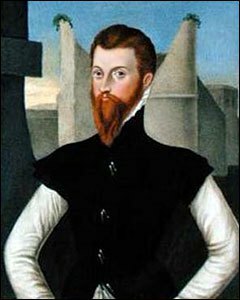 On this day, in 1556, Edward Courtenay, Earl of Devon died in Padua, Italy. 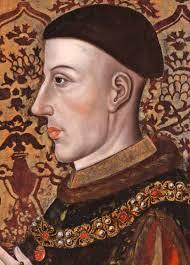 Today in 1386/7 King Henry V was born. I know little but the basic facts of Henry's life as my historical interest leads me away from this era via the family feuds of the Percy's and the Neville's and eventually to the Wars of the Roses. 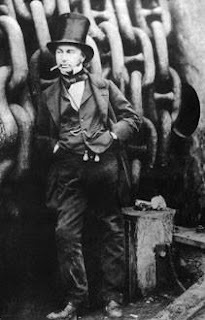 Mini History Blog: Isambard Kingdom Brunel. On this day in 1859 Isambard Kingdom Brunel Died. Did you know, that in 1843, while performing a magic trick for his children, Isambard Kingdon Brunel accidentally inhaled a half sovereign coin, which became lodged in his windpipe. The effort to free the coin seems comical now, but it wasn't then. It involved a machine devised by Brunel ( I'm not too sure that it was designed for this purpose) to shake it loose, eventually it did. The first attempt to free the coin by using as special pair of forceps didn't! Thank goodness this great man didn't choke to death, or we would not have had that wonderful bridge that spans the banks of the Tamar between Devon Cornwall or all those tunnels on the Great Western Railway. You may or may not be aware of our hero, Leinosus the Horse's daring do's in recent months. Well, Leinosus, on the 11th of July arrived just in time to save the day. 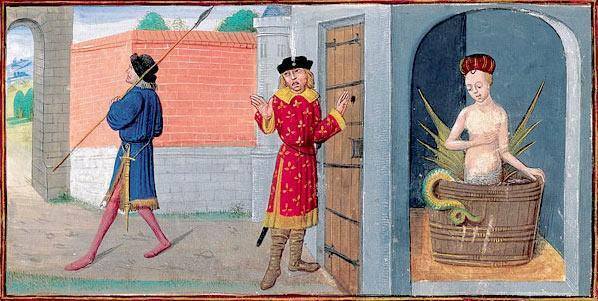 Anyway this lead to his master, Sir Renaud de Karihaes, taking the castle and therefore securing if for his liege the king. 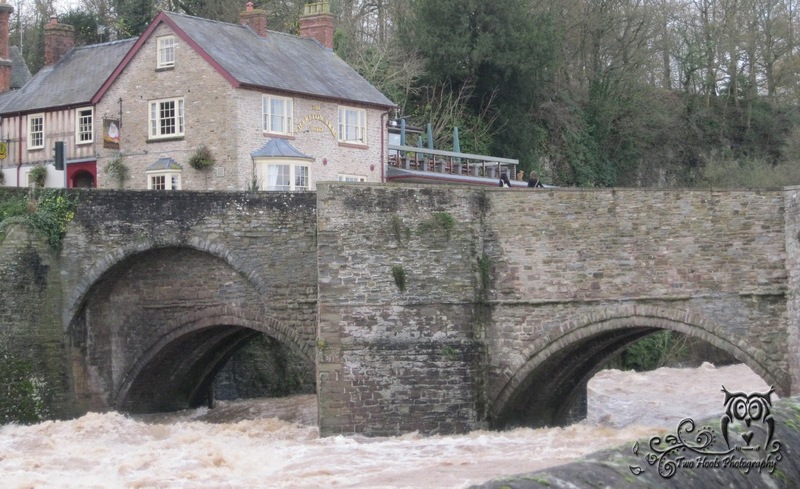 Rhys ap Thomas: The Fatal Blow? 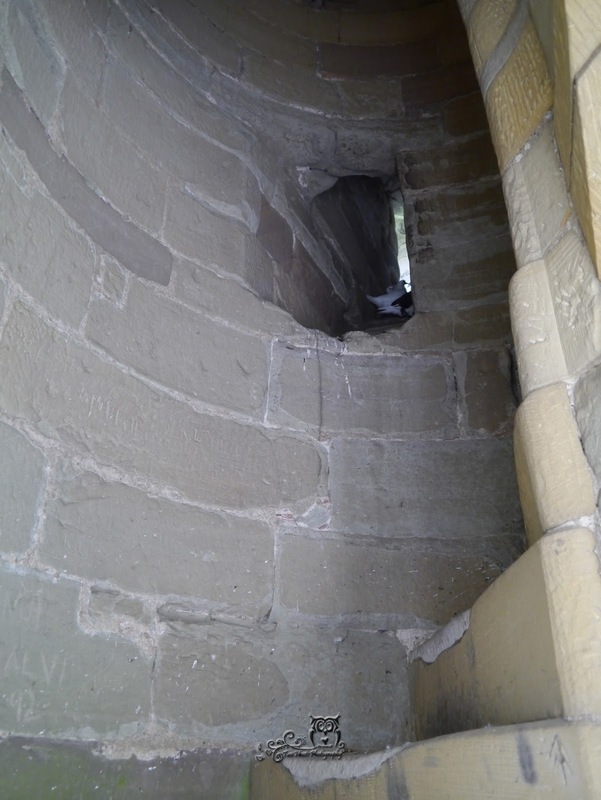 On examination, it was found that a wound to the bottom of the skull presented a gaping hole, where a halberd had cut part of it away, this wound was not fatal. 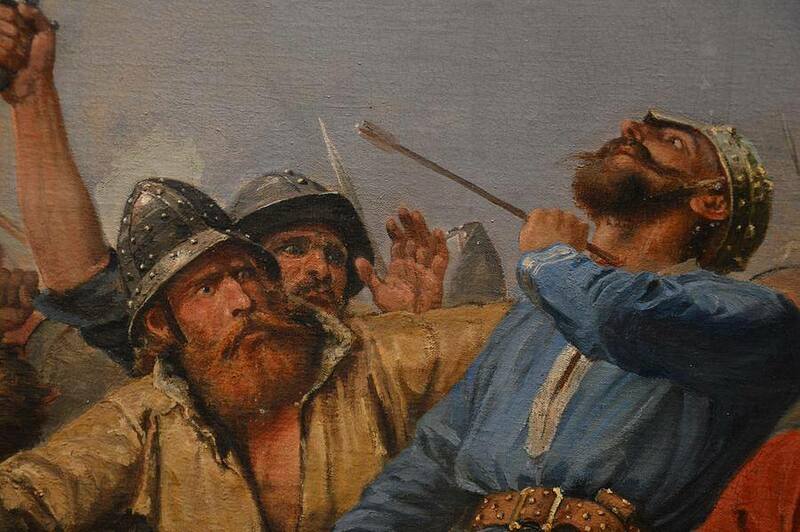 The wound that would have ended the kings life was one to the base of the skull where a blade penetrated it. 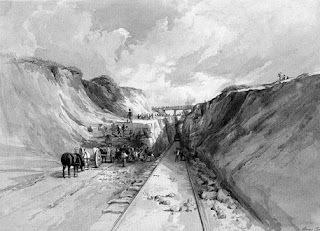 In my blog I write of the evidence that might prove the Welshman did strike the king. Alice Montacute the only woman attaind during the Wars of the Roses. 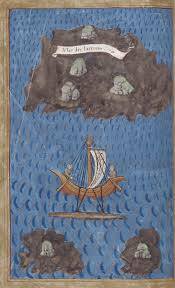 And forasmoch as Aleyse the wyf of the seid Richard erle of Salesbury, the first day of August, the yere of youre moost noble reigne xxxvij at Middleham in youre shire of York… falsely and traiterously ymagyned and compassed the deth and fynall destruccion of you, soverayne lord; and in accomplisshment and executyng therof, the seid Aleise, at Middleham aforeseid the seid first day of August… traterously labored, abetted, procured, stered and provoked the seid duc of York, and the seid erles of Warrewyk and Salesbury, to doo the seid tresons, rebellions, gaderynges, ridynges and reryng of werre ayenst youre moost roiall persone, at the seid toune of Blore and Ludeford: to ordeyne and establissh, by the seid auctorite, that the same Aliese… for the same be reputed, taken, demed, adjugged and atteinted of high treson. The exact link between the Beaufort's and particularly Edmund Beaufort and the young Thomas Vaughan is not known, he may or may not have known Vaughan personally, it may be that as a young boy he was placed as a page in one of Beaufort’s households, but as he grew into adulthood it was Edmund Beaufort, along with Adam Moleyns, Bishop of Chichester, who sponsored his claim for denizenship, this granted Vaughan rights that all Englishmen had, that is protection under the law, being able to own and dispose of property and take legal action in the English courts. 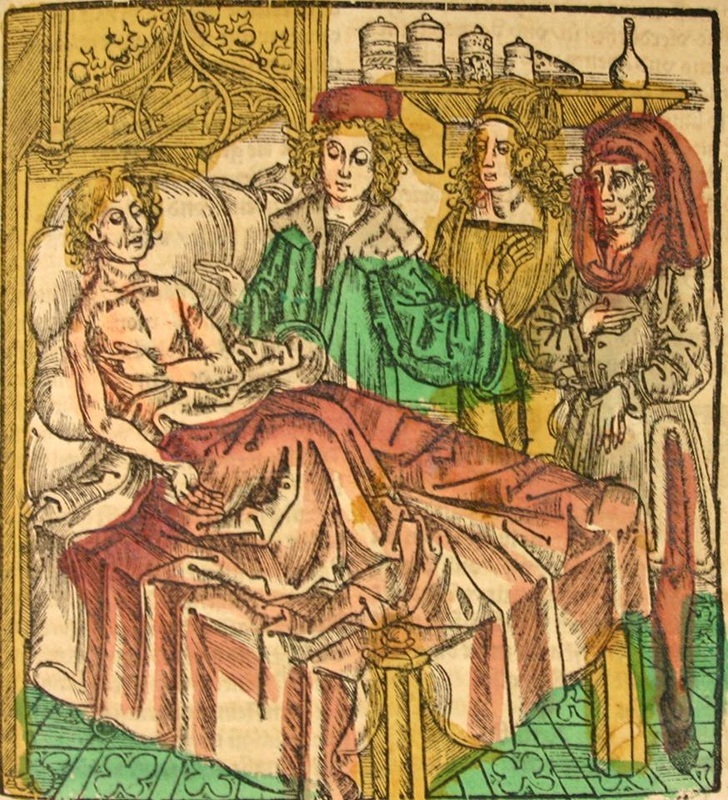 In the years that Thomas Vaughan grew from a boy into a man, Edmund Beaufort had made a name for himself in France as a commander of English forces following his alleged affair with the widowed Catherine of Valois, it has been speculated that the baby born to Catherine in 1431 was Beaufort’s, an idea based on the fact he was named Edmund! This ‘dalliance’ with the queen did not harm Beauforts career, he was continually given important posts in France, created Earl of Dorset and Knight of the Garter in 1438. He controversially replaced Richard Duke of York as Lieutenant of France in 1447, resulting in great animosity between the two men. 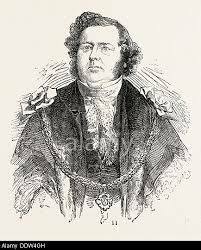 By this time Thomas Vaughan was in his early twenties, he had worked his way up the administrative ladder eventually being responsible for managing and receiving all the revenue of estates in Abergavenny. The book I ordered, co written by Turi King, the scientist who worked on Richard III's DNA has arrived. I purchased this book as an aid in helping me better understand who exactly I am. 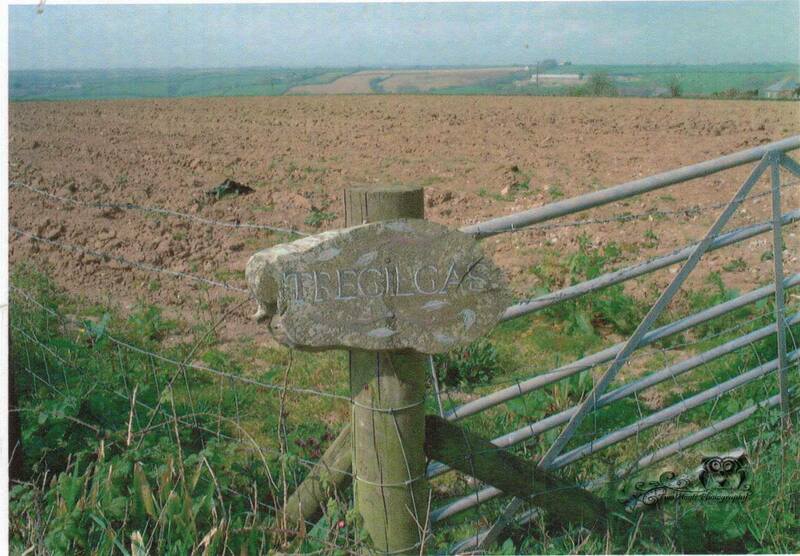 I was born in Cornwall, lived there on and off and spent the long summer holidays with my grandparents and I consider myself to be Cornish even though half of what makes me me originates from the Leicestershire and Yorkshire. This fact has always fascinated me. 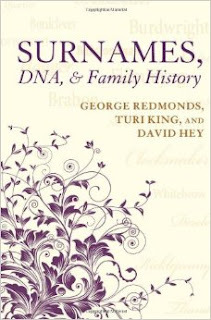 The book, whose two other authors are George Redmonds and David Hey is entitled Surnames, DNA, and Family History has a section on Cornwall, and piece on the Tre prefix. 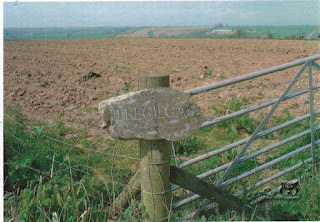 My 5x great grandmother was Patience Tregilgas, whose ancestry I am hoping to trace to a small patch of land, just outside Mevagissy, the home of the "Tribe of Gidgas" or followers of St Gildas, a 6th century monk. Another ancestor, my 3x great grandmother's surname had the Cornish Pen prefix, she was Jane Pentreath, whose family member Dolly Pentreath, was one of the last fluent speakers of the Cornish language. So no doubt I will find this section interesting. I am hoping too that the book touches on the subject of 'Nature verses Nurture', as my paternal ancestor Joseph Taylor was not who I thought he was. His story can be read here. I am hoping to start the book by next week, I'll keep you posted. If you wish to know more here is a summary. "This book combines linguistic and historical approaches with the latest techniques of DNA analysis and show the insights these offer for every kind of genealogical research. It focuses on British names, tracing their origins to different parts of the British Isles and Europe and revealing how names often remain concentrated in the districts where they first became established centuries ago. In the process the book casts fresh light on the ancient peopling of the British Isles. The authors consider why some names die out, and how others have spread across the globe. They use recent advances in DNA testing to discover whether particular surnames have a single, dual or multiple origins and whether various forms of a name have a common origin. They show how information from DNA can be combined with historical evidence and techniques to distinguish between individuals with the same name and different names with similar spellings and to identify the name of the same individual or family spelt in various ways in different times and places. Clearly written and illustrated with hundreds of examples, this book will be welcomed by all those engaged in genealogical research, including everyone seeking to discover the histories of their names and families." Mini History Blogs: The Vittoria the first ship to Circumnavigate the World. The first voyage round the world ended in 1522 with the return of the Vittoria to Spain. The journey was a difficult one, and only Elcano, 17 other Europeans, and four Indians survived when it finally reach Spain. I have updated my photography page on my website, it is now in the form of a slideshow. I feel this is less confusing than my previous attempt at showing off my photos! Read my blog: Libraries, Thank goodness for men like John Potter. 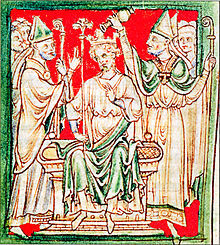 King Richard I was crowned this day at Westminster Abbey in 1189. The Bodleian Library in Oxford hold's an account of the coronation that gives the names of those who were in attendance and a description of the event. 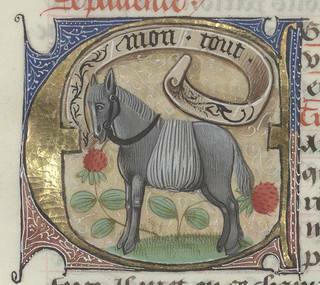 In the account, the chronicler records Richard as the Duke of Normandy and writes how he lead the procession with "triumphal chanting." Richard took the oath and then anointed himself, taking the crown from the alter on which it sat. According to the chronicler, the crown was so heavy that two earls helped support it above the kings head. Interestingly, during the ceremony a bat flew around Richard's head and a strange pealing of bells could be heard........an 'evil omen' writes the chronicler. It is easy with hind sight to say that the recorder of the coronation was correct in his assumption, but as it turned out he was. 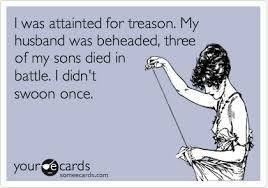 he bankrupted the treasury to fund his hobby.....crusading. 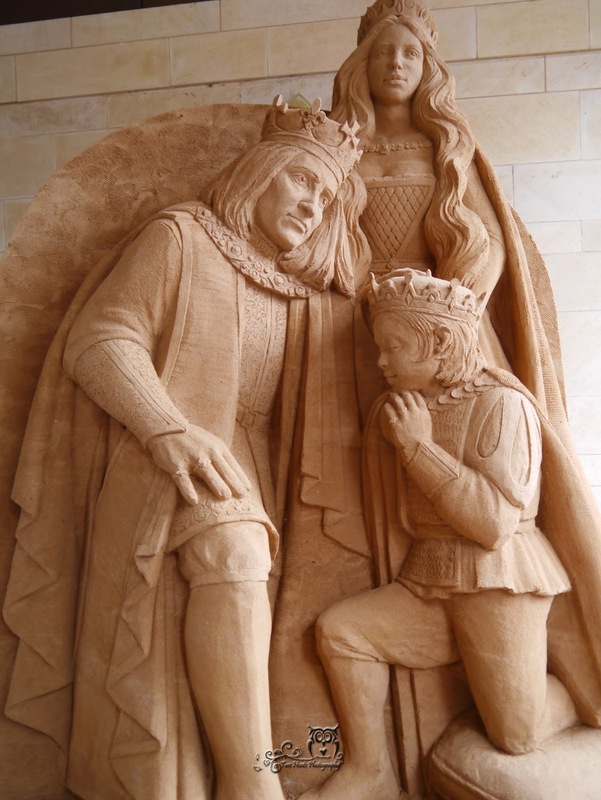 Richard's brother, later King John, was left to pick up the pieces. Could you run a country effectively with an empty treasury? John, was not perfect by any means, he was seen as the evil villain, a view which continues to this day. Richard however still remains an iconic figure. A hero king? A good king?...........I think not!